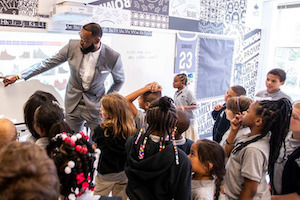 NBA superstar LeBron James at the opening of his I Promise School in Akron, Ohio. LeBron James, a forward for the Los Angeles Lakers, has opened a public elementary school named I Promise School. 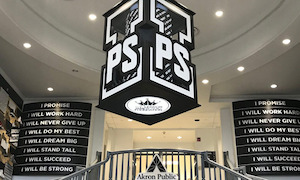 The school is a partnership between the Akron, Ohio Public School system and the LeBron James Family Foundation, Sports Illustrated reported. James has a history of supporting education initiatives across the country and providing scholarships to help disadvantaged kids attend college. But opening this school in his hometown of Akron is special for him. “This skinny kid from Akron who missed 83 days of school in the 4th grade had big dreams…big dreams for the kids in Akron to give them everything they could need to find their passion, give back to our community and change the world!! This school is that. The people are that. Akron is that,” James tweeted on Sunday. The school opened Monday and its incoming class will include 240 third- and fourth-grade students who were chosen based on socioeconomic status and educational performance. I Promise School plans to expand grades offered to first- through eighth-grade by 2022 and has a faculty of 40 people in efforts to give students longer school days and a longer academic year. 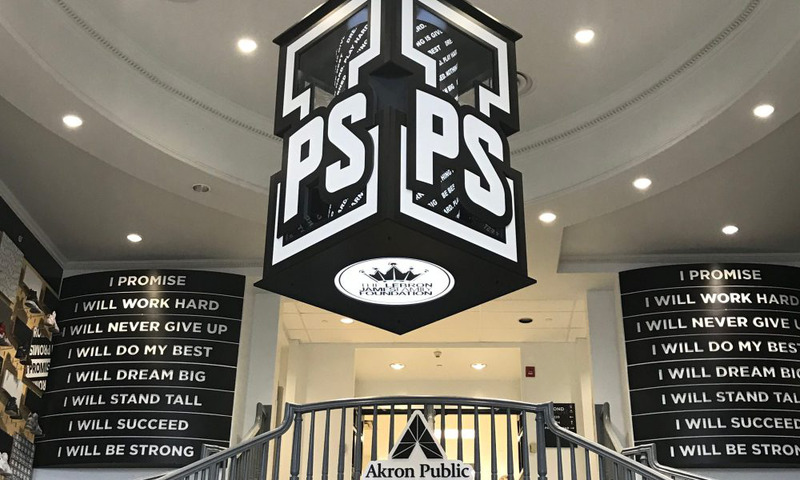 Starting in 2021, students who graduate from I Promise School will earn free tuition at the University of Akron. Jame said his desire to help children who are struggling get a good education comes from his own childhood experiences.